Have you heard of #SaltBae? If not, here is everything you need to know. Even Leonardo DiCaprio was awed by #SaltBae in action recently. Memes of the Turkish chef Nusret Gökçe fantastically sprinkling salt on meat went viral in early January. Now it appears Nusret Gökçe (or more appropriately, a related business entity) has filed a federal trademark application related to the popular meme. On January 30th, a Turkish-based entity by the name of D ET VE ET ÜRÜNLERI GIDA PAZARLAMA TICARET ANONIM SIRKETI filed a federal trademark application for the design seen below. The Turkish entity filed the application in Class 25 for a variety of clothing items, including trousers, jackets, coats, T-shirts, shorts, and caps [ed. - but no vests?]. The application was also filed in Class 43 for services related to food, drink, and hotels, including restaurants, cafes, pubs, motels, boarding houses, day care centers, and pet and animal boarding services [ed. - what?]. 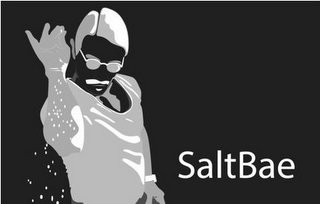 How do we know this trademark application is associated with the real #SaltBae (aka Nusret Gökçe )? For one, this Turkish business directory seems to indicate that the business entity listed as the owner of this mark is associated with the restaurant #SaltBae co-owns, the Nusr-Et Steakhouse (and it links to Nusr-Et's website). But perhaps most telling is that the business entity listed in this application also owns three other federal trademark registrations for stylized versions of NUSR·ET RESTAURANT, NUSR·ET STEAK HOUSE, and NUSR·ET, each filed in 2014 by the same attorney that filed the SALTBAE application. Pretty compelling evidence.